Yesterday on Saturday 12th February 2011 several Warm Up matches before World Cup taken place in which West Indies, South Africa, New Zealand and Sri Lanka got victories. 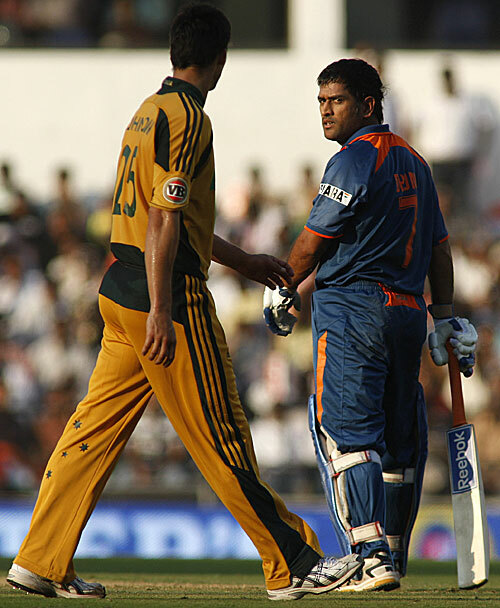 Today on Sunday 13rd February one big Warm up is going to take place between India and Australia in Bengaluru. Although its a warm up match but Stadium is fully packed to see this big warm up match between India and Australia. India has won the toss and elected to bat first against Australia. Lets see who wins this big game just before the World Cup.